Today’s post featured below comes from Betty DeGeneres, who urges HRC members and supporters to protect young LGBTQ people. From an early age, I knew my Ellen was exceptional. Her hard-won success never surprised me (you know, moms just know things) –– but her impact on the world surely did. 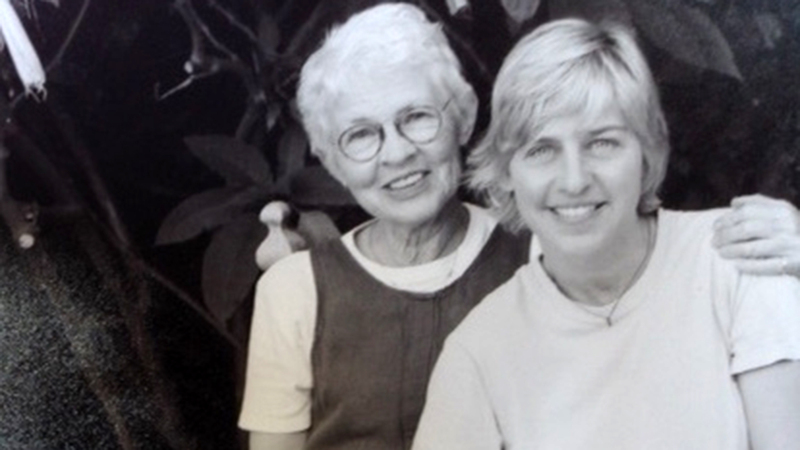 Ellen came out to me as gay when she was 20, and that’s when I became a Mom for Equality. Two decades later, she came out courageously on national television and used her story to bring millions of Americans into the fight, too. As an HRC supporter, you clearly care about LGBTQ equality. Whether you’re a parent fighting for equality, have a mom fighting for equality, know a mom for equality, or simply want to stand up for all the LGBTQ youth out there, will you join me by becoming the newest member of the Human Rights Campaign today? I’ve been working with HRC as their spokesperson for a long time and I’ve seen the direct impact of their work. At their annual Time to THRIVE conference this year, for example, I was honored to meet advocates and activists devoted to the well-being of LGBTQ youth. That’s why I got into this movement in the first place… I wanted Ellen and the millions of young people like her to feel safe and included, no matter where they went. Forty-plus years later, that’s why I’m still here. These children are the future, and we need to make sure they have allies from all generations, fighting for them and loving them unconditionally as they are. It’s on us to change the world for these kids and make it a better place. Just like my Ellen did 21 years ago and continues to do to this day. I’m a proud Mom for Equality and a longtime member of HRC. I hope you’ll join with me this Mother’s Day as a proud member of HRC. This is for you, El.